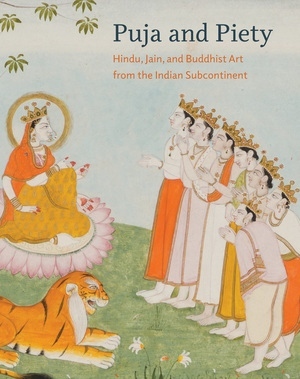 Puja and Piety celebrates the complexity of South Asian representation and iconography by examining the relationship between aesthetic expression and the devotional practice, or puja, in the three native religions of the Indian subcontinent. 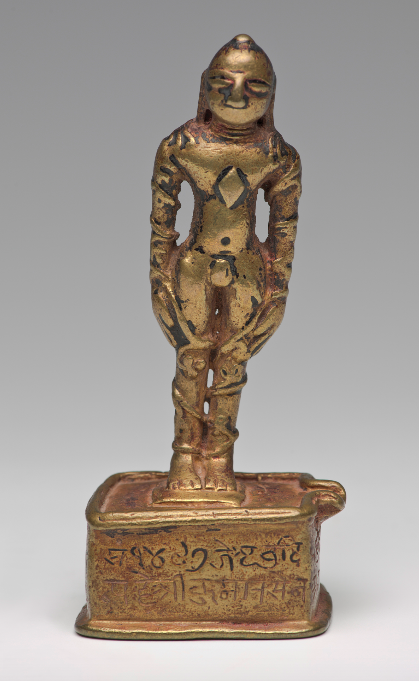 This stunning and authoritative catalogue presents some 150 objects created over the past two millennia for temples, home worship, festivals, and roadside shrines. From monumental painted temple hangings and painted meditation diagrams to portable pictures for pilgrims, from stone sculptures to processional bronzes and wooden chariots, from ancient terracottas to various devotional objects for domestic shrines, this volume provides much-needed context and insight into classical and popular art of India. 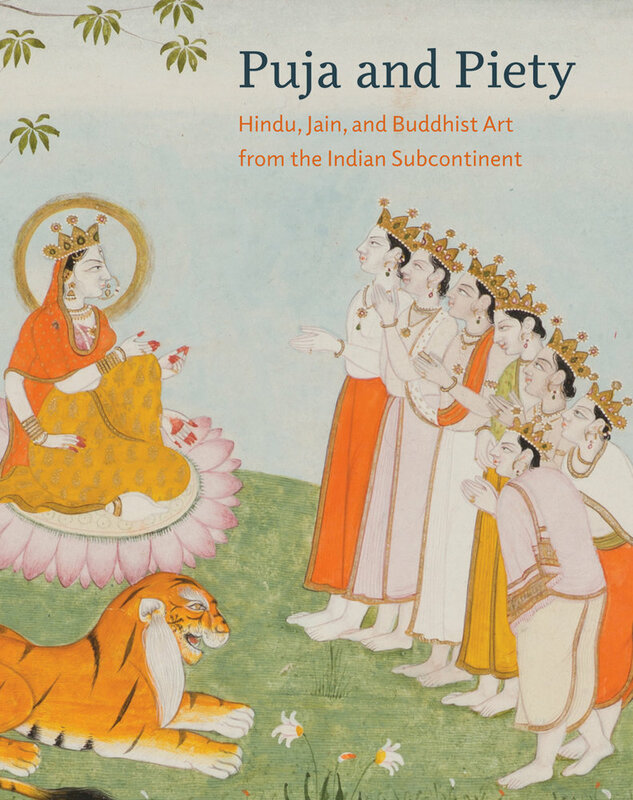 Featuring an introduction by the eminent art historian and curator Pratapaditya Pal; accessible essays on each religious tradition by Stephen P. Huyler, John E. Cort, and Christian Luczanits; and useful guides to iconography and terms by Debashish Banerji, this richly illustrated catalogue will provide a lasting resource for readers interested in South Asian art and spirituality. Pratapaditya Pal has been affiliated with many prominent museums and universities as a curator and a teacher. He has organized numerous groundbreaking exhibitions on the arts of Asia; has written more than sixty books and catalogues on the ancient art and culture of India, Nepal, and Tibet; and was the general editor of Marg, a journal of art and culture published in India. 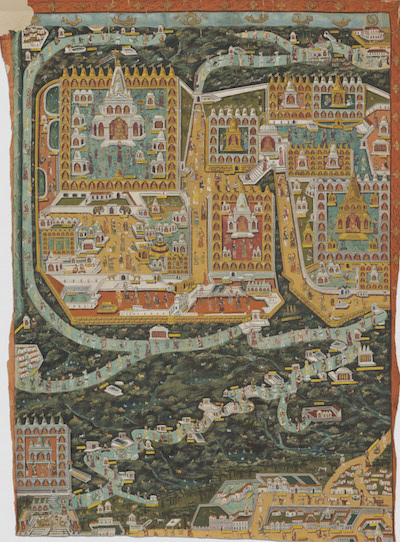 His publications include Himalayas: An Aesthetic Adventure,Indian Sculpture (2 vols. 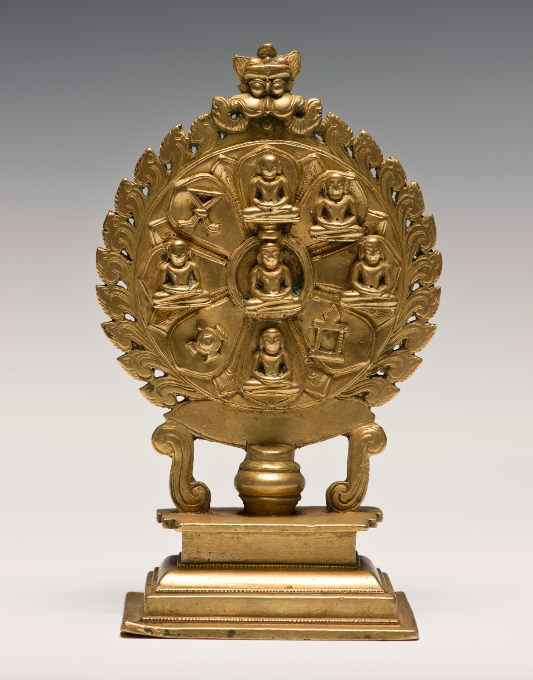 ), and Art of Nepal. 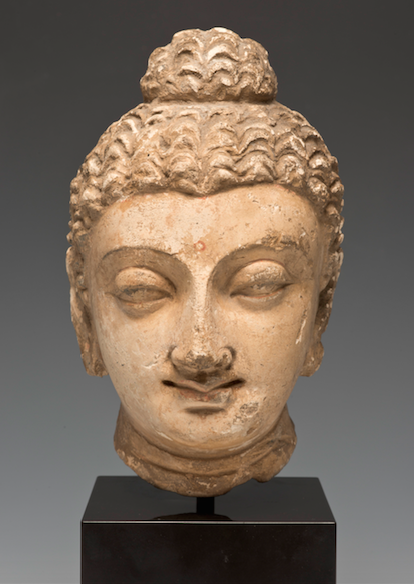 Head of Buddha with Prominent Topknot, Ancient Gandhara, present-day Pakistan, 4th–5th century. Stucco with traces of color. Santa Barbara Museum of Art, Anonymous Gift. 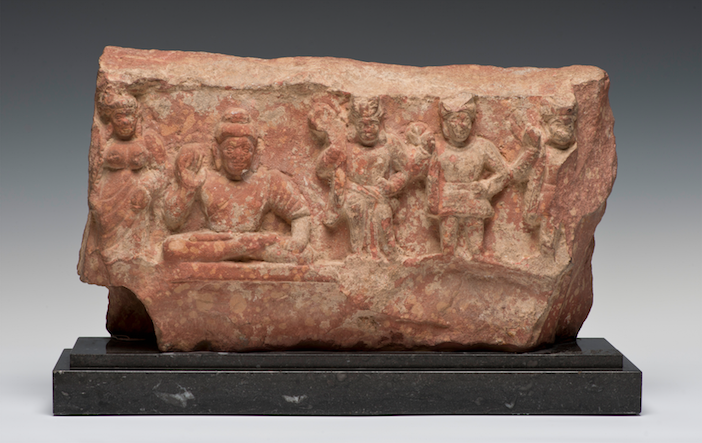 Meditating Buddha and Worshippers, India, Uttar Pradesh, Mathura, 2nd century. Sandstone. Santa Barbara Museum of Art, Anonymous Gift. 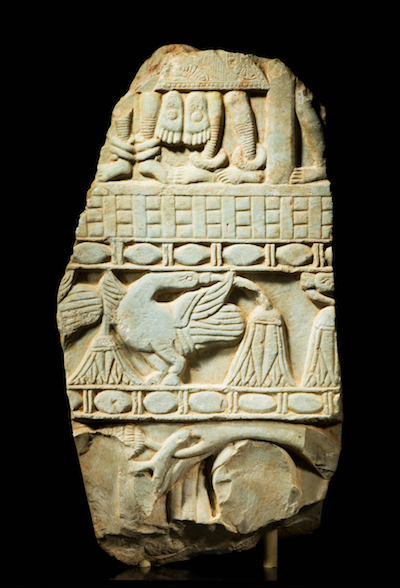 Fragment of a Frieze from a Stupa, India, Andhra Pradesh, Nagarjunakonda, 2nd century. Limestone. Santa Barbara Museum of Art, Museum purchase with the John and Peggy Maximus Fund. 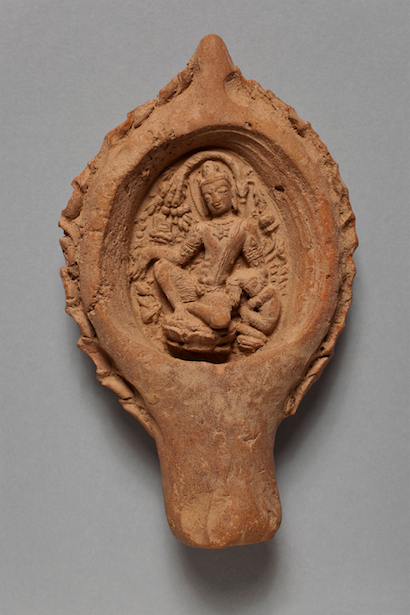 Lamp-shaped Votive Plaque, India, Bihar, 9th century. Terracotta. Santa Barbara Museum of Art, Gift of Stephen P. Huyler. 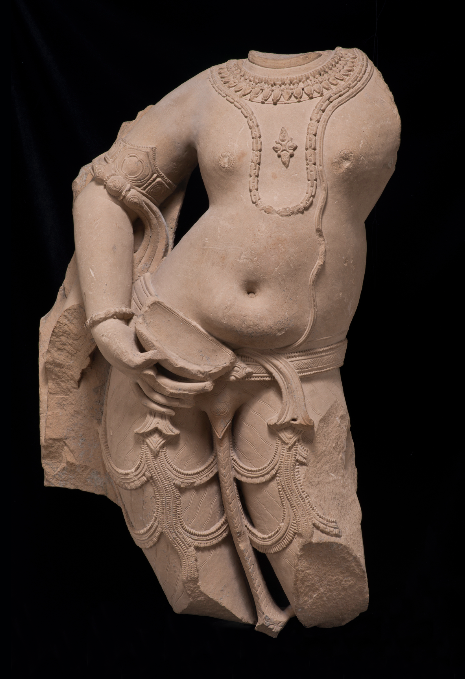 Balarama as the Eighth Avatar of Vishnu and Elder Brother of Krishna, India, Madhya Pradesh, 11th century. Sandstone. Santa Barbara Museum of Art, Gift of Wright S. Ludington. 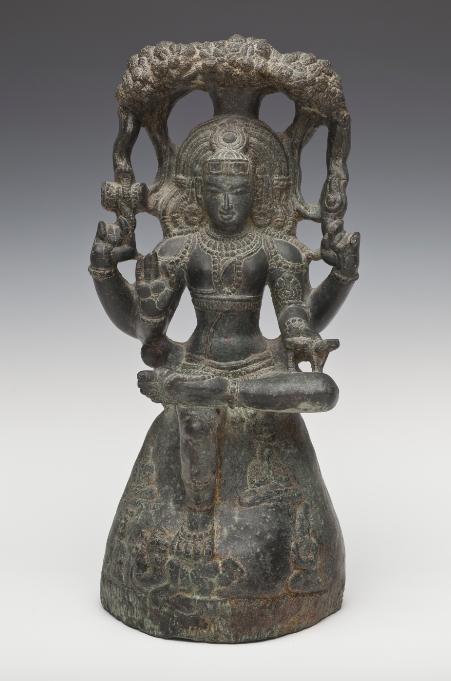 Temple Sculpture of Shiva as the Supreme Teacher (Dakshinamurti), India, Tamil Nadu, 12th century. Volcanic stone. Santa Barbara Museum of Art, Gift of Dr. Robert and Dr. Ann Walzer. 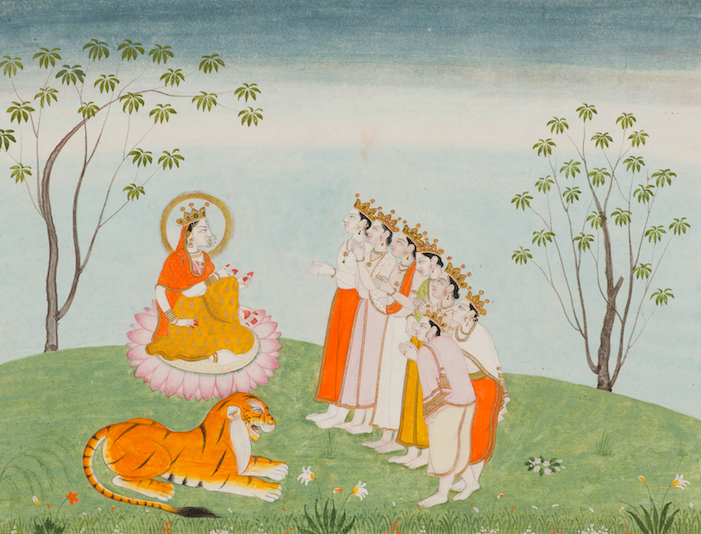 The Gods Appeal to the Great Devi for Help, Folio from a Devimahatmya series with Sanskrit text in Devanagari script on reverse, India, Himachal Pradesh, Kangra, early 19th century. Color and gold on paper. Lent by Narendra and Rita Parson. 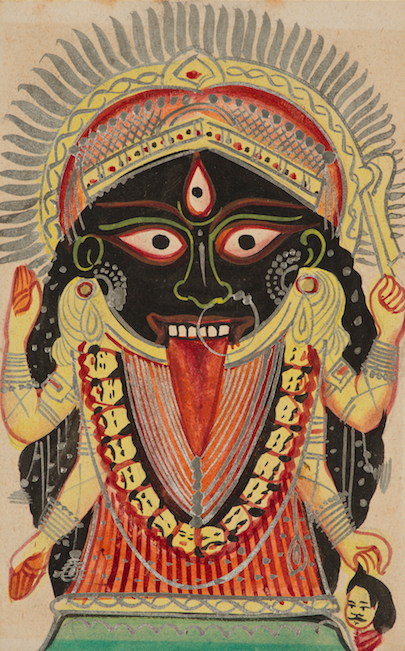 Goddess Kali, Manifestation of Devi (Great Goddess), India, West Bengal, Kolkata (Calcutta), late 19th century. Color and silver on paper. Santa Barbara Museum of Art, Gift of Pratapaditya and Chitra Pal. Saint Bahubali Standing in the Kayotsarga (Body Abandonment Posture) His Body Entwined with a Vine, India, Rajasthan, dated 1400 (Vikram Samvat 1457). Brass. Santa Barbara Museum of Art, Gift of Pratapaditya and Chitra Pal.